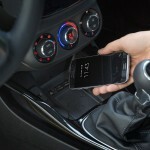 Opel will start to offer a wireless way of charging the mobile phone. 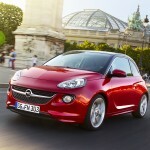 It will be available in the ADAM’s options list and it will cost 135 euros. The system uses an electromagnetic field, therefore you can say bye-bye to the cables. You simply put your phone in position and let the charger do its job. 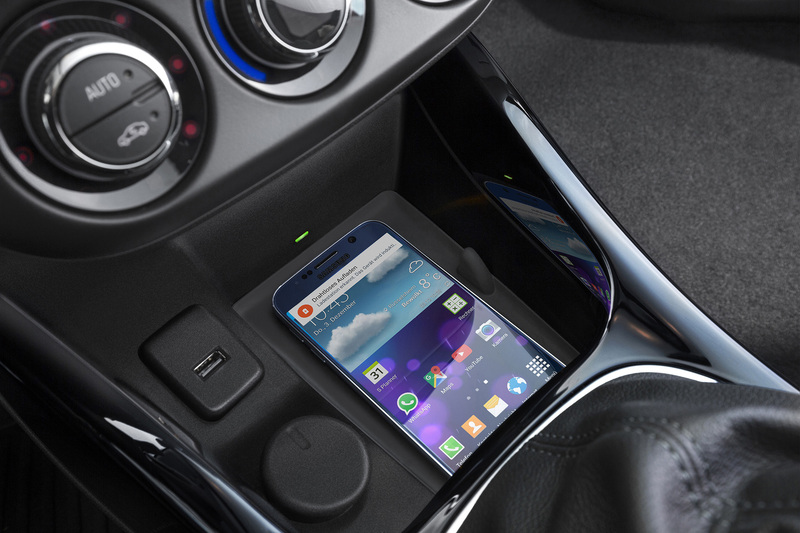 It comes to complete the spectacular connectivity features of the ADAM, including the CarPlay and Android Auto. 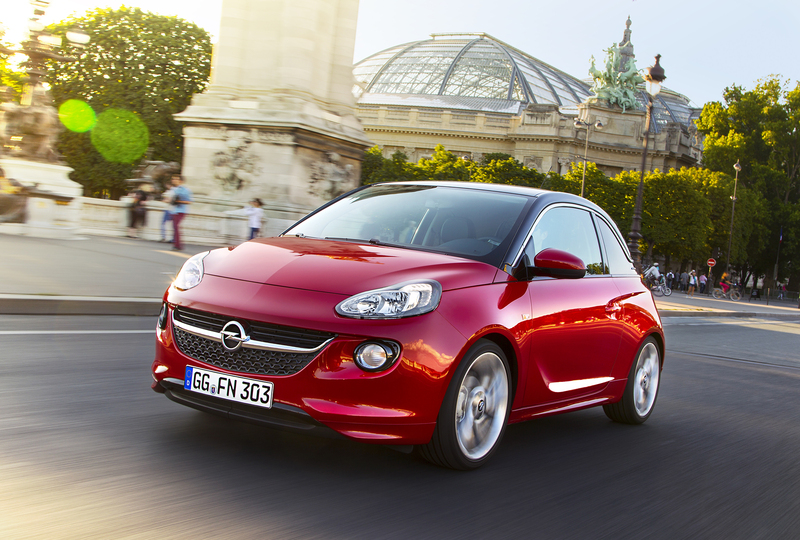 It is an excellent example of how much technology can be packed in an A segment vehicle. 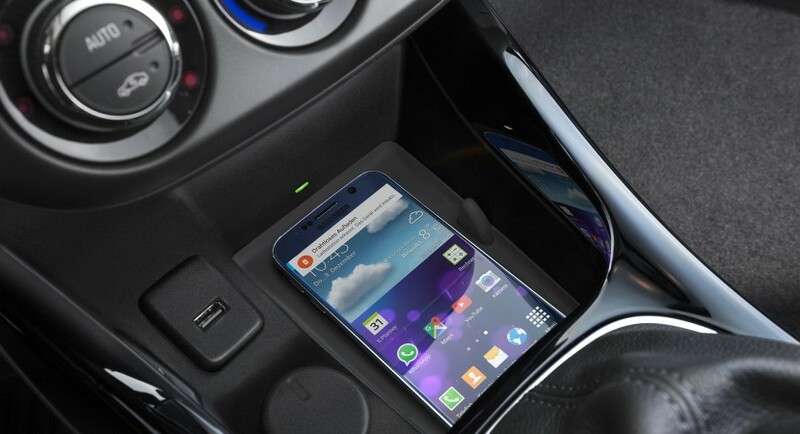 However, you must have a compatible phone to use this inductive charging system. Or, if you don’t, you have to buy a case or back cover. 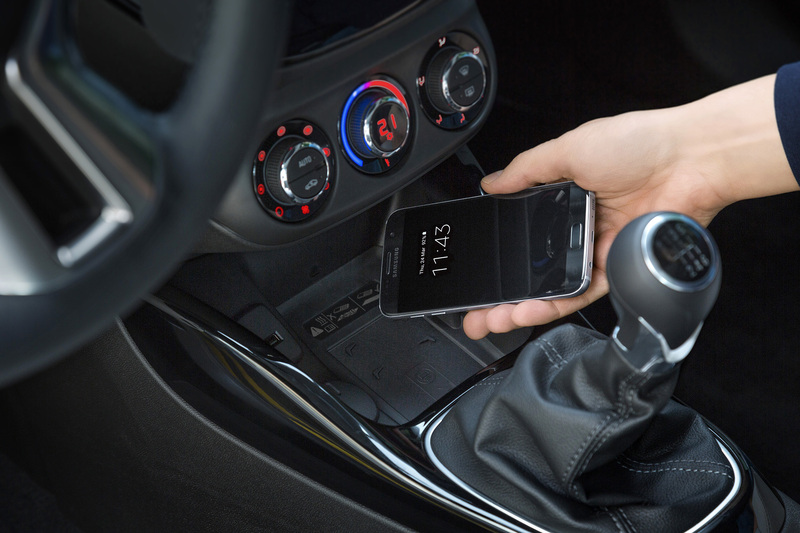 Its functioning principle is simple: it uses the electromagnetic field to send energy to the mobile device. The smartphone then transforms this power back in electricity, using it to charge its battery. Is nothing different from the wireless home chargers found in the market. Both the charger and the phone contain electromagnetic coils which convert the electricity into magnetic field and then back to electricity. 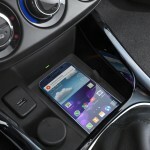 Opel admits that you can buy your own wireless charging system, but this would cancel the main advantage of the system proposed by ADAM: the total lack of wires. Therefore, the wires could get into the visual field, creating safety issues and discomfort. 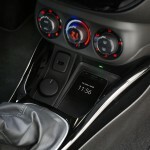 Opel decided to place the charger into the console in front of the gear lever. 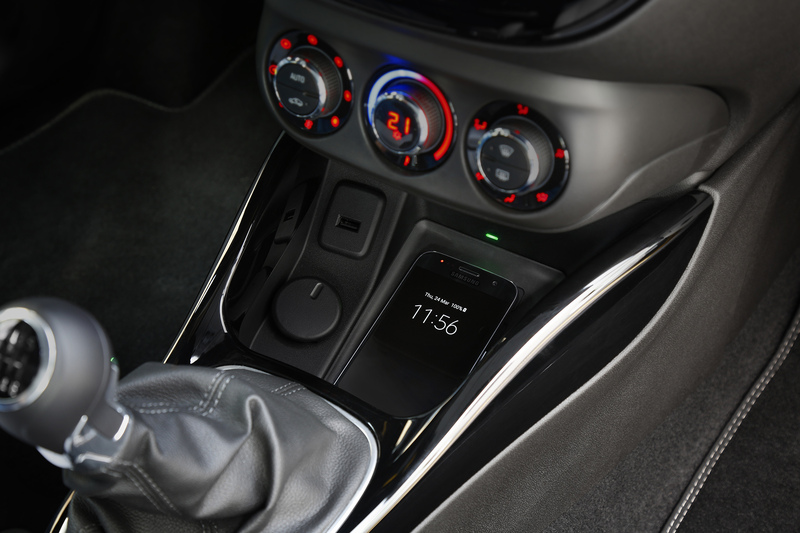 Using the ADAM’s integrated Bluetooth connection and the phone’s Bluetooth system, the driver can pair the smartphone to the car, enabling the charger, streaming music or making calls.